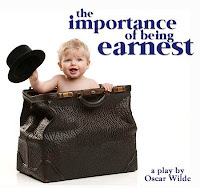 Tickets are on sale for "The Importance of Being Earnest"
Tickets are now on sale for the hilarious farcical comedy "The Importance of Being Earnest", an Oscar Wilde play directed by Jonathan Bertschinger ("Line"). Working within the social conventions of late Victorian London, the characters maintain fictitious personae in order to escape burdensome social obligations. A long time audience favorite, "Earnest" has been revived as recently as 2011 on Broadway, and been adapted three times for the silver screen. All seats $10. Tickets can be purchased via the ticket icon on the left side of our website. Show dates are April 18, 19, 20, 26, 27 (7 PM), and matinee show April 28 (2 PM). Don't miss "The Importance of Being Earnest"! The Importance of Being Earnest, directed by Jonathan Bertschinger, opens this Thursday. Show dates are April 18, 19, 20, 26, 27 at 7pm and 28 at 2pm. Tickets are on sale now! Don't miss this hilarious production. Important!! The show dates/times for "The Importance of Being Earnest" are April 18, 19, 20, 26, and 27 (**7 PM**), and April 28 (2 PM). If you received a postcard stating 8 PM for the evening shows, that was a mistake. All EVENING shows start at 7 PM. 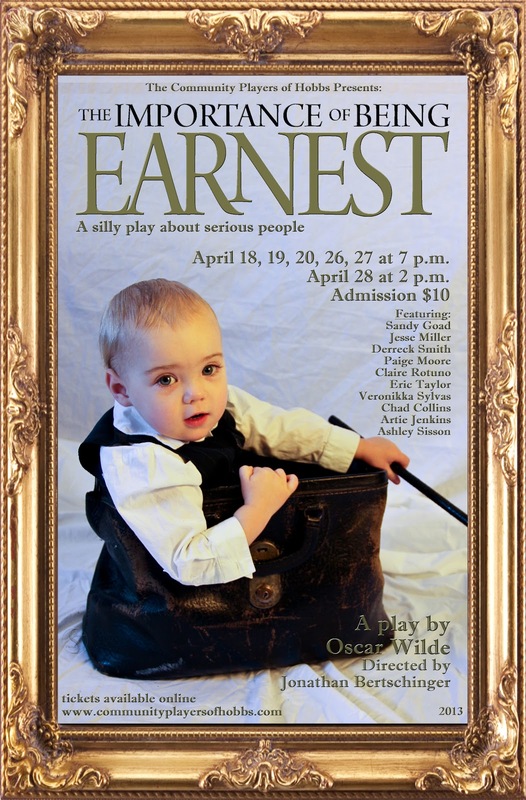 "Earnest" ticket sales, "Jekyll" auditions, AACTFest news...and more! We have a lot of news for this edition of the email blast…lots going on at the Playhouse! 1. "The Importance of Being Earnest" opens on April 18th…just 10 days! Tickets are on sale via our website (http://www.communityplayersofhobbs.com). Show dates are April 18, 19, 20, 26, 27 (7 PM) and April 28 (2 PM). The evening shows are indeed at 7 PM, by the way…that is not a typo! 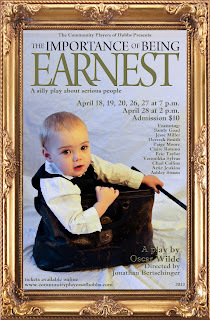 "Earnest" is directed by Jonathan Bertschinger ("Line"), and stars Derreck Smith, Jesse Miller, Eric Taylor, Chad Collins, Sandy Goad, Paige Moore, Claire Rotunno, and Veronikka Sylvas. 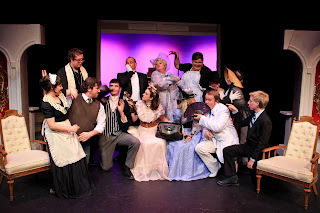 Don't miss this hilarious Oscar Wilde comedy! Hyde" will be held at NMJC Watson Hall Theatre on Saturday, April 13th starting at 12 noon. Auditions will begin with singing auditions, and then move into cold readings of the script. Prepare a rock/pop or musical theatre selection that displays your vocal talent. Cold readings will continue until 5 or 6 pm with possible callbacks on Sunday evening, April 14th. If you have any further questions please contact the director, Juston Harlin, at jharlin@nmjc.edu. 3. Big AACTFest news! The Community Players of Hobbs production of "A Doll's House" will now be advancing to the Region VI AACTFest Competition in Lafayette, Louisiana! Selected as the alternates at the New Mexico AACTFest in Los Alamos, Hobbs was then selected to move up when another company was unable to make the trip. Hobbs is now the sole theatre company representing New Mexico on the regional stage! Congratulations are also in order for "Team Doll's House" for taking the Backstage Award, as well as Rebecca Venegas placing 2nd in the Monologue Competition and Robert Schumacher receiving the Outstanding Achievement in Acting award! "A Doll's House" will perform at 10:00 AM on April 20th at the Acadiana Center for the Arts in Lafayette, LA. If you would like to attend, please visit http://www.acadianacenterforthearts.org and click on the banner for "AACTFest 2013". 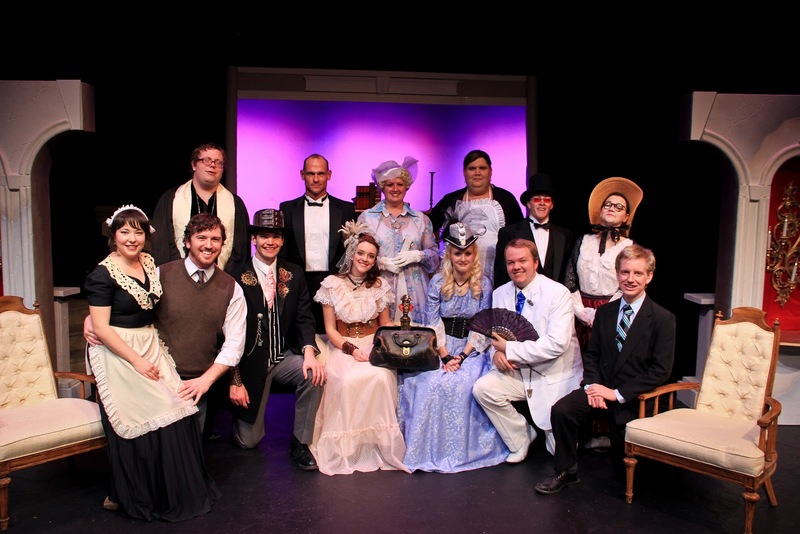 "A Doll's House" is directed by Nathan R. Miles ("A Christmas Carol", "Fiddler on the Roof", "Zoo Story", "All My Sons", "Rabbit Hole"), and stars Erin Miller-Gibbs, Jeremy Small, Denise Rusk, Robert Schumacher, David Baeza, and Rebecca Venegas. 4. It's not too early to start thinking about our summer Youth Performing Arts Workshop! This year's production will be Disney's "The Little Mermaid", directed by Sandy Goad and Ronnie Gray. Look for announcements and signups soon…we will take the first 35 signed up once registrations start. The Youth Performing Arts Workshop is a great opportunity for our younger performers to learn what theatre is all about! Stay tuned for more news soon! Don't forget to bookmark our website, http://www.communityplayersofhobbs.com, and find us on Facebook (http://www.facebook.com/communityplayersofhobbs), Twitter (http://twitter.com/hobbsplayers), and Google+ (http://plus.google.com/115622324186907165666/posts). AUDITIONS! 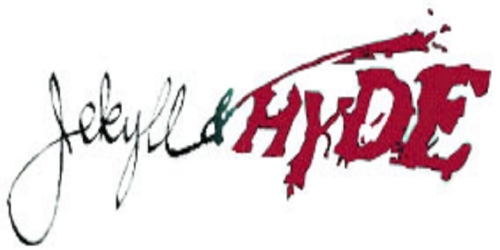 Auditions for the Hobbs Community Playhouse musical production of "Jekyll & Hyde" will be held at NMJC Watson Hall Theatre on Saturday, April 13th starting at 12 noon. Cold readings will continue until 5 or 6pm with possible callbacks on Sunday evening, April 14th.